As a country, we spend a huge amount of money on maintaining infrastructure, from the roads we drive along to the bridges we walk across. But what if we told you that one day, it would be possible for cracks in the road to heal themselves? Abir Al-Tabbaa, a professor of Geotechnical Engineering at the University of Cambridge, has been leading the research team working on the development of self-healing concrete. According to Al-Tabbaa, these self-healing materials can sense that damage that has been done and mend the cracks without external intervention. In a bid to improve the concrete construction industry, The Department of Engineering’s Geotechnical and Environmental Research Group has started to develop microcapsules that contain healing agents. Once a crack begins to emerge, the microcapsules rupture, resulting in their payload being released, enabling stabilization to occur within the material. Researchers in Cambridge have been using a Dolomite Microfluidics system since 2014. Since then, they have discovered that microfluidics offer more control over particle size and composition, as opposed to conventional emulsification polymerization techniques. Using the Dolomite system, researchers have managed to create functionalized microcapsules that have thinner shell walls, higher core retention and bind more strongly to the cement matrix, collectively improving their self-healing properties. The research is being funded under an RM4L programme grant that has been supported with a £4.9million investment from the Engineering and Physical Sciences Research Council (EPSRC). Prior to this, the EPSRC funded a similar project which led to major advances in the development of transformative construction materials. As a result, the UK’s first ever self-healing concrete full-scale trials began. Subsequently, five retaining walls were installed on the A465, with Costain, the main contractor and strategic partner of the RM4L programme grant, facilitating it. Researchers in the USA are using Fungi to help create self-healing concrete. Professors Guangwen Zhou, Congrui Jin and David Davies, all from Binghamton University, New York, together with professor Ning Zhand from Rutgers University, New Jersey, discovered that the Trichoderma reesei fungus could be the key to self-healing concrete. 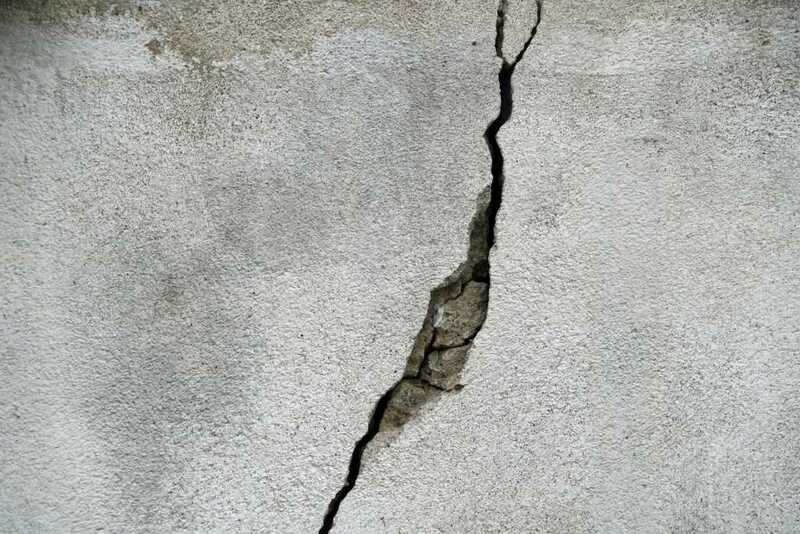 Once the nutrients and fungal spores are placed into the concrete matrix, cracking occurs, oxygen and water will then find their way in and the previously dormant fungal spores will germinate and precipitate calcium carbonate to heal the cracks. As the research is still in the early stages, improvements need to be made in terms of the survivability of the fungus within the harsh environment of concrete. However, with adjustments, the fungus will eventually be able to effectively mend the cracks. Self-healing concrete could be the start of a new age for the construction industry, combining nature with construction. Nature provides us with functionality for free, such as fungus. Once the developments progress to a point where self-healing concrete can be put into mainstream circulation, it will decrease the cost of infrastructure and building maintenance. Construction workers will be allocated more time and have a bigger budget to build new infrastructure as opposed to constantly working to maintain old roads and buildings. According to HealCON, the annual maintenance cost for essential infrastructure in the EU reaches £4.2billion a year. This figure is unlikely to decrease any time soon. With self-healing concrete currently being able to mend cracks up to 0.8mm wide, it’s an expensive investment as the technology stands today. On average, a cubic metre of concrete would cost approximately £60, whereas self-healing concrete would cost around £85. Cost will always be a major factor when it comes to mainstreaming self-healing concrete, therefore, it’s likely that the construction industry won’t see the benefits for a number of years. Here at Concrete Drilling Services, we’re committed to ensuring a better future for us all. We always stay on the cutting edge of concrete innovation. We believe it’s of fundamental importance to produce concrete and undertake our services in the most eco-friendly way possible. For more information, or to enquire about any of our extensive range of services, give our friendly team a call today.